This entry was posted on June 14, 2016 by Liz Foulds. 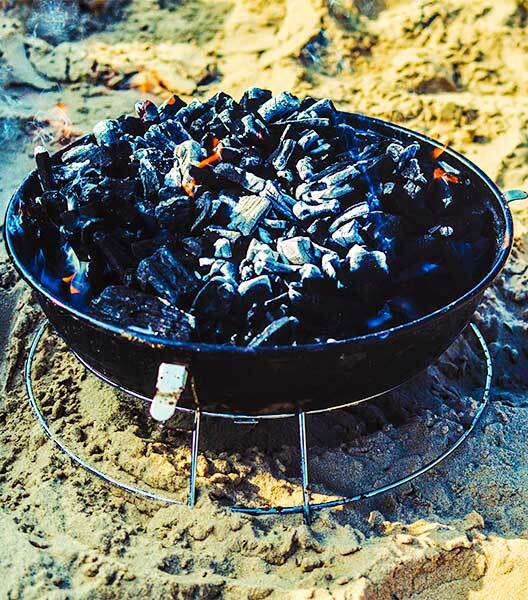 Lumpwood charcoal is primarily used as an efficient and easy-to-use fuel for barbecues and other pieces of outdoor cooking apparatus. In fact, the charcoal we sell here at Logs Direct is a genuinely market leading outdoor fuel. Charcoal isn’t just a fuel —it is a versatile substance with many other uses. Accordingly, we’ve decided to provide you with a compendium of charcoal’s more unusual functions and how you can dispose of any leftover charcoal in a beneficial way. You’ll be delighted by how useful this simple solid fuel can be. Lumpwood charcoal is made from partially burned wood: it therefore has a tremendously high carbon content. It can be used to increase the amount of carbon in your compost or mulched directly into your garden. It’s surprisingly nutritious for most forms of plant life! What’s more, lumpwood charcoal doesn’t usually contain any unnecessary chemicals, so it won’t have any detrimental effect on your garden. Of course, you should always check the bag that your charcoal came in to ensure that it hasn’t been treated with chemicals before you start mulching it. Depending on your local soil PH, we recommend that you only use a little at a time, as it has a slightly alkaline composition, and you should avoid drastically changing your soil’s PH balance. If you need to raise your soil’s PH, however, charcoal is your friend. The moisture-absorbing properties of charcoal can also be used to protect metal tools from rusting. If you want to safeguard your garden tools or mechanical tools against rust, simply put a couple of lumps of thinly-wrapped charcoal in your toolbox. The charcoal will absorb any ambient moisture and keep your tools dry and rust-free. Rock salt and sand make great driveway de-icers during the winter months, but they can be difficult to store during the hotter parts of the year. This is because they tend to form unusable clumps if they are exposed to moisture. Luckily, lumpwood charcoal can help. If you have any driveway de-icers that you need to store during the summer, simply mix a few lumps of charcoal into them before covering their container. The charcoal will absorb any moisture that gets into the container and prevent the granules of de-icer from clumping together. If you’ve got some charcoal left over from a barbecue, don’t let it go to waste-it can be incredibly useful in a variety of ways. Charcoal: the fuel that gives twice! Looking for a quick and easy barbecue option that saves time and mess by simply lighting the bag? Well then instant light charcoal is the product for you!